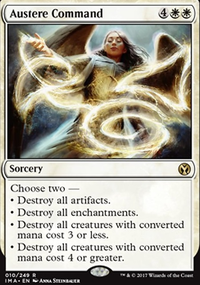 Noncreature spells with converted mana cost equal to the chosen number can't be cast. Glowrider , Sanctum Prelate , Sphere of Resistance and if your feeling mean try Stony Silence with Null Rod because no one should be allowed to have fun. Any other set may not do, as legacy reprints are not made. 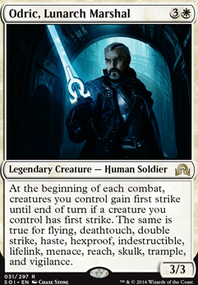 When was the last printing of Recruiter of the Guard , Sanctum Prelate , Thalia, Guardian of Thraben , Life from the Loam , etc. 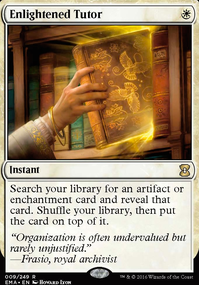 Eternal Masters, Ultimate Masters, and some of the other Masters sets were a great addition to the reprints, but now that masters are gone, where are they gonna put them? Also, legacy reprints don't need to be kept expensive, they sell packs. That is all they need to do. Considering most enchantment wipes cost 4 or more mana you might want to run Gaddock Teeg . You can also run Sanctum Prelate and Chalice of the Void if the wipes all share the same CMC. Glen Elendra Archmage is also another handy creature that can stop boardwipes from being used. The other way to fight this deck is to keep Tymna from drawing cards. Good, efficient sweepers like Toxic Deluge , Fire Covenant , and Pyroclasm can help keep them off the gas pedal. 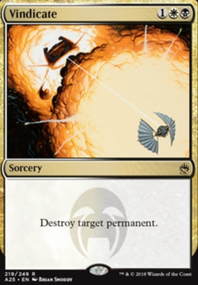 There are a ton of other good sweepers, just make sure you can hit the board for 2 damage, and keep Tymna from hitting people. If you take a good look at Sanctum Prelate , you'll see that it only stops noncreature spells. Blood Pod is a hatebears deck first and foremost, so a card like Sanctum Prelate really doesn't do much against Blood Pod. The best way, in my opinion, to beat Blood Pod is to disrupt their card advantage, and then win quickly. Because it is a staxy creature deck, Blood Pod wants to drag the game out. With their big swingy creatures, they're advantaged in the long game. Sweep their card advantage away, and then combo them. It's hard because of their stax pieces, but that's the best way to combat them. Beating Blood Pod is tough (it's a good deck and top tier for a reason!) but I hope this helps!